Yes, there shall be tweeting. 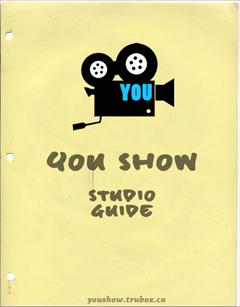 If you want to keep in touch with what we communicate, follow us @youshow15. As you tweet about Your Show (or others), use the #youshow15 hashtag so others can join in, respond, offer you free trips to Switzerland, etc. We are also integrating Martin Hawksey’s Twitter Tags tool to capture the activity in ways we can visualize what’s going on out there.